Dana McGrady is a Doctor of Oriental Medicine, Top Network Marketing Leader and Field Advisory Board Member for her company. 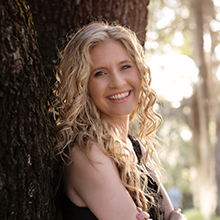 She is a powerful & magnetic coach, mentor, author, mama of three little ones, and has 2 clinic locations in Florida that operate with or without her there. She is leading a revolution for those that are on a mission for time and financial freedom, that want to take back their power and be the master of their own universe using the most beautiful profession, Network Marketing!